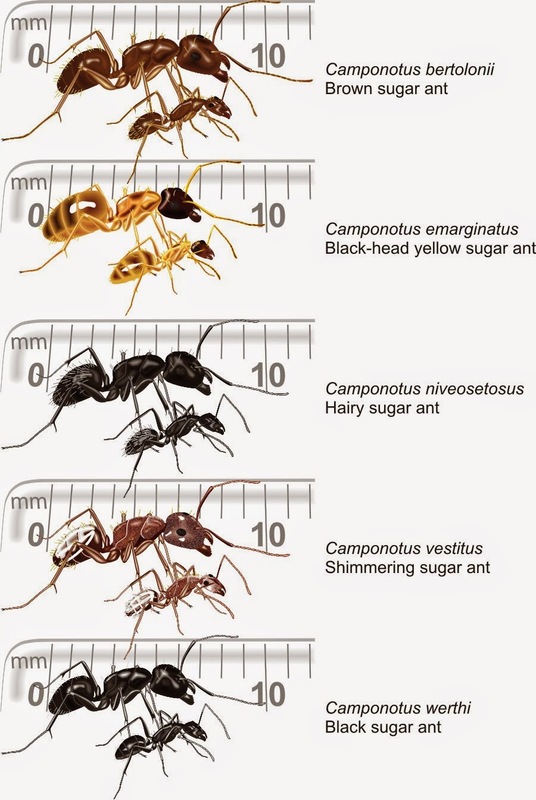 Most Formicinae are handsome, regular-shaped ants, from large (>20 mm), to some of the smallest ants in our region (<1.5 mm). The larvae of most genera spin cocoons; no species have stings but their enlarged venom glands produce formic acid. Some species squirt the acid by curling their gasters underneath them and aiming at their foes, using their bodies like water-cannons. 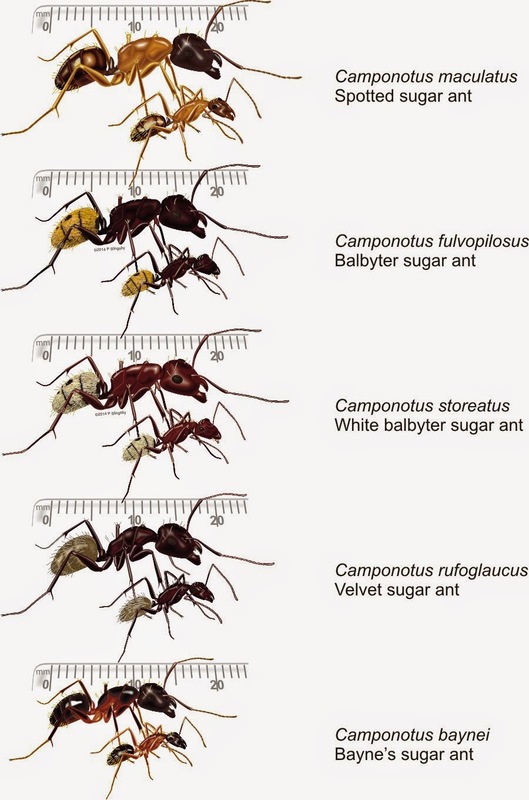 Many species also carry their sleeping sisters away when danger threatens, and some create ‘honey-pot’ ants, individuals who remain motionless in the nest like living storage vessels while their sisters fill them to bursting with surplus nectar. 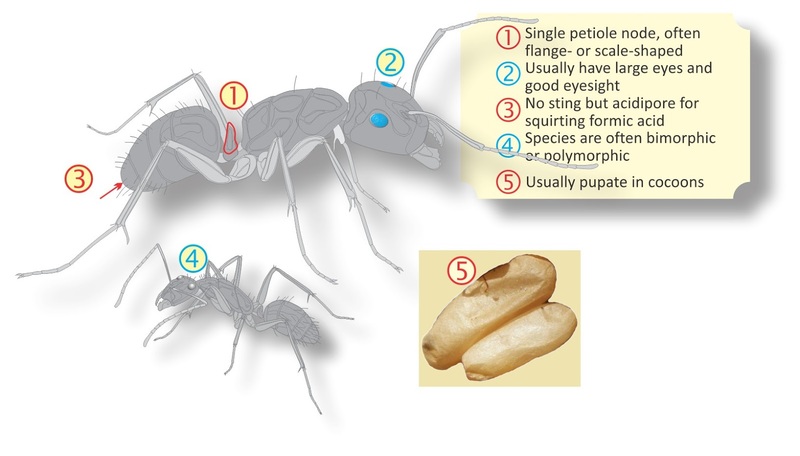 All formicines only have one node (often a vertical scale) on the petiole or waist. Most have big eyes and some are exceptionally sharp-sighted, even apparently being able to ‘see’ human beings. 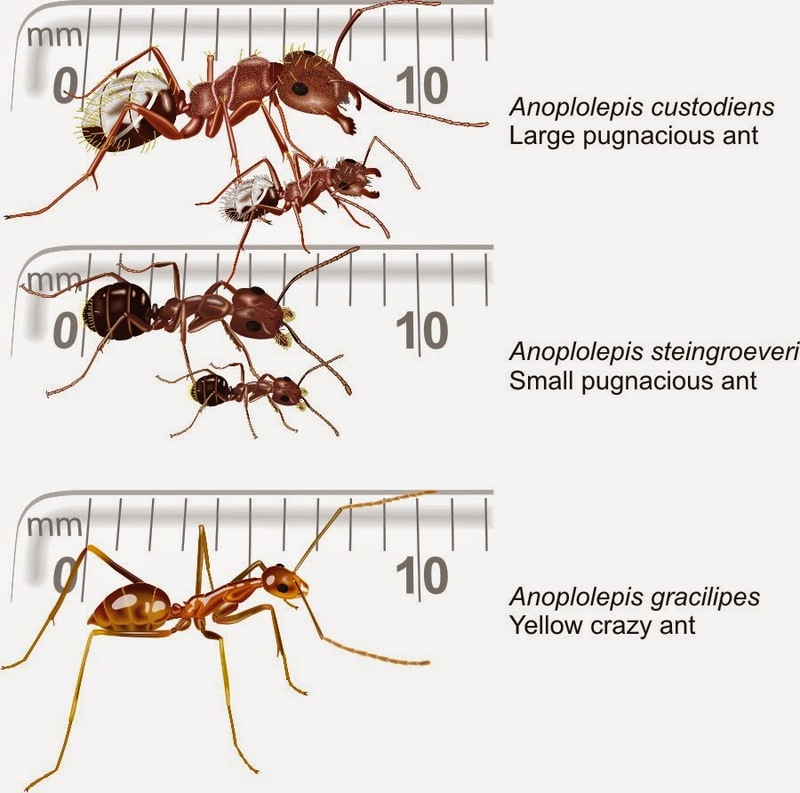 The subfamily includes species with major and minor workers, some with a range of worker sizes, and some where the workers are monomorphic [= all the same size and shape]. Nesting habits include underground tunnels, abandoned termite mounds, old worm tunnels in rotting wood, nests built from detritus, or the hollow stems of some plants. 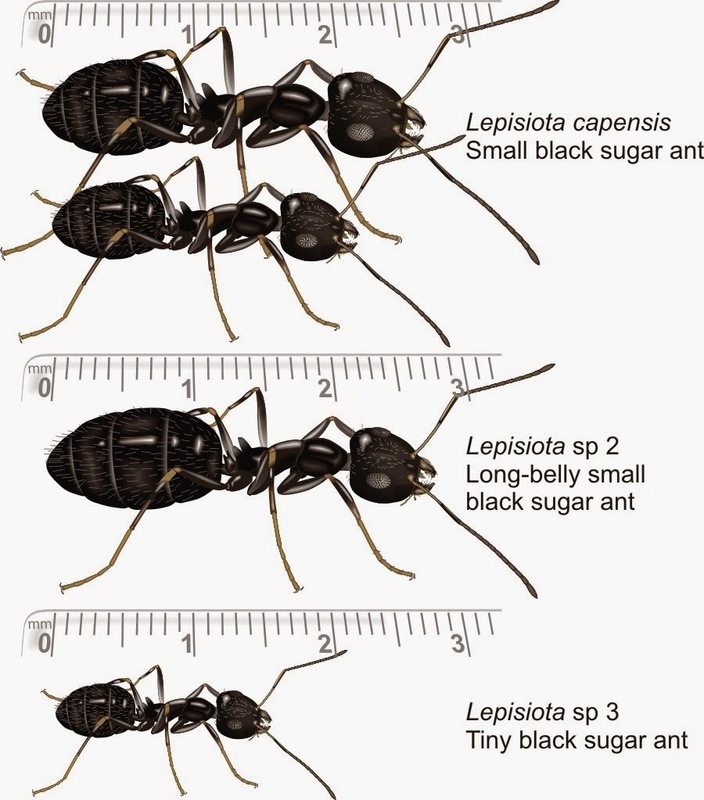 Most live in small colonies of up to several hundred individuals, but in Lepisiota and Anoplolepis there are species which have become invaders across the world, thanks to their ability to form super-colonies by budding. Click on the links below for more info about individual species.